Welcome to the Guide to the Week of Music, a round-up of music news, media and releases from the wide musical world. 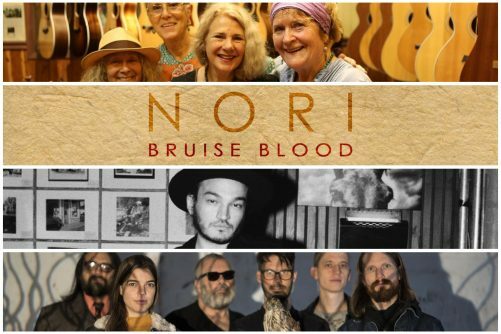 This week, we dive into Nori’s new LP for our repeat listen, check out some new music and congratulate Xhosa Cole on this BBC Young Musician award. Live recordings and session demos were released in 2003 and though brilliant, they didn’t quench their followers’ thirst for a bona fide studio album. Thankfully, behind renewed interest in the group and their history, the band have recorded a long awaited debut! Their new album features Taj Mahal, Buffy Sainte-Marie and Bob Weir of The Grateful Dead amongst others. It’s jam packed with musical ideas; everything from bluegrass-infused folk-rock to harmony-drenched ballads and bluesy psychedelia. It’s wonderful to know that the band have finally ticked the studio record off their checklist and we recommend checking out their story below. Read the full piece here via the Guide to the World of Music website.